Hello there! So much has been going on behind-the-scenes here- marathons, international challenges, extra hours at the day job, and something that I can't wait to tell you about. I will be posting details on it all but let's get to the exciting news first. I have been selected to be a Julia's Buckley Fitness Rockstar. I have known Julia virtually for a few years now. My friend, Becca, of From Strength to Strength, introduced me to Julia back in the days of the Zero Calorie Advent Calendar. 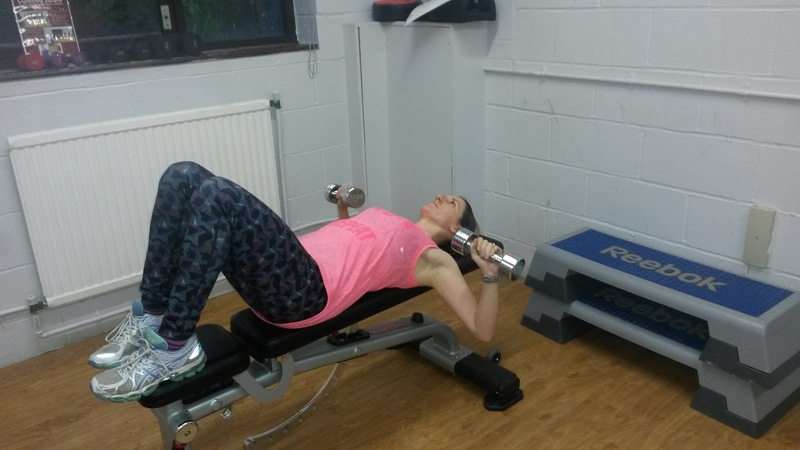 Julia's workouts are simple, effective and accessible to everyone. She started off with a book, Fat Burn Revolution, and now has a huge online gym. Julia was looking for Fitness Rockstars to help spread the word about her offerings (so affordable and accessible) and I was keen to get involved. As a fellow fitness professional, I am happy to support and promote Julia. Her programs work (several of my friends have had tremendous success) and I am ready to be her next success story. Julai's Fitness Rockstars are a collective of people with a mission to make the world a healthier, happier place (it is like we are all curt from the same cloth!). We’re not professional athletes, or even what many would consider typical “fitness people,” but we all appreciate the privilege of having the ability to move our bodies and we’ve all experienced having our worlds rocked by the astounding difference fitness and health has made to our lives. You may think that personal trainers are always motivated to workout, but I can tell you that it isn't true. We have struggles just like our clients. Neither are we celebrities, or in a position to spread our message to millions of people, but if something we post can help light the fuse that helps anyone to discover myriad of amazing benefits of doing what takes to be fit and strong which ripple out into all areas of life, then we’ll feel like stars for sure. Together, we think we can shine enough light to make a difference. If I can get even one of my readers to start moving their body in a positive way towards a healthy lifestyle, I will feel like I have won. From now until January, I am going to focus on strength training. It is something I always say I need to do and now is the time. The plan is to start with the 5 day bootcamp, as these videos have more instructions and will give me a solid knowledge base to proceed. The plan is to mix Ignite sessions (which are 30 minutes and require no equipment) with Rebellion Stength sessions. The Ignite sessions I can do at work on my tea break and Rebellion I can fit in in my free evenings. I will soon share from 'before' photos and take body measurements. Each week, I will aim to post a quick update on how things are going for me. This public declaration should hold me accountable so I will stick to it! How about you join me? Click Here! To pick up Julia' Ignite program as an E-Book. This is a new updated version that what was sold on Amazon's Kindle site (which got great reviews). Or you can join Julia's online gym. So, what do you think? Leave a comment below and let me know what your fitness plans are for the rest of the year. Please note, this post includes affiliate links. There is no extra cost for you and help pay to maintain this blog.